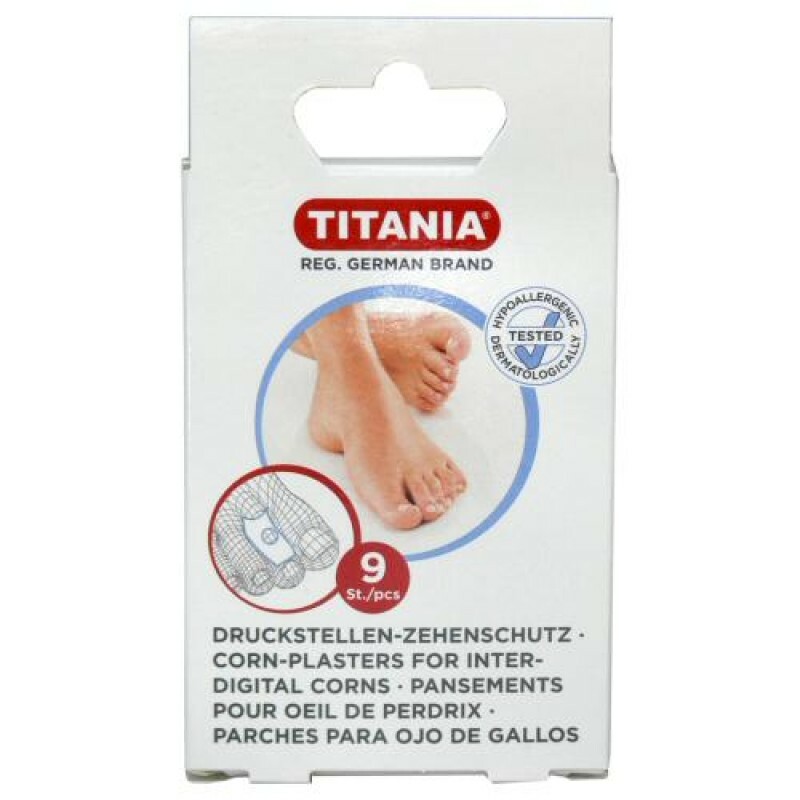 Titania corn plaster for interdigital corns is made of adhesive pure latex foam. 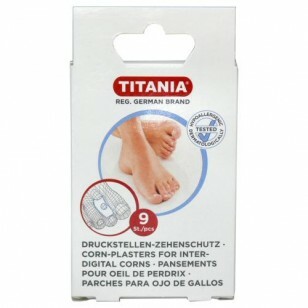 The plaster shields corns located between toes from painful pressure and shoe friction bringing quick relief. Directions: Apply to clean, dry skin.